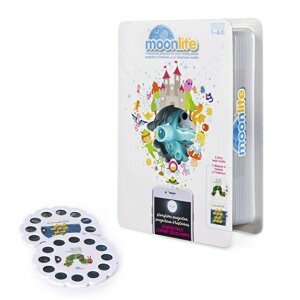 Amazon.com offers the up to 47% off Moonlite Starter Pack – Storybook Projector for Smartphones. Features: Your child’s favorite tales come alive with Moonlite, an easy-to-use storybook projector! This small device clips onto your phone (not included) and uses the flashlight to project vibrant storybook images onto any surface; While projecting the storybook images, the Moonlite app displays story text and plays charming sound effects, creating an immersive and magical story time experience for you and your child.